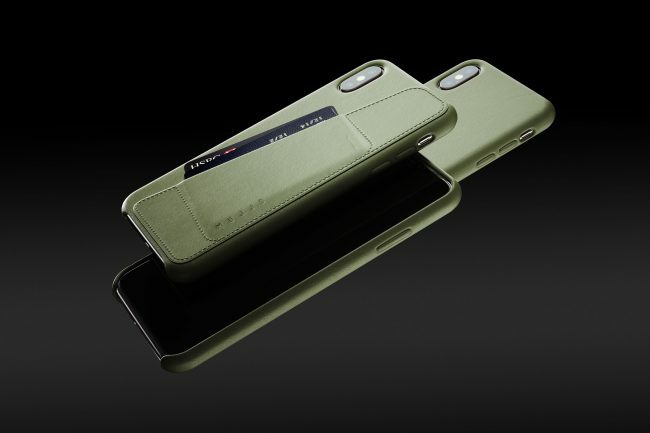 If you’re a fan of leather cases on your iPhone, and looking for one that’s not only more protective than Apple’s very own branded leather cases, you should check out the Mujjo Leather iPhone Cases. I had the opportunity to review the Mujjo case in green, and I’m pretty amazed at the overall look and feel. We’ve covered Mujjo’s cases for smartphones in the past and have all enjoyed them, so when Apple announced the iPhone XS Max in September, I was patiently waiting for Mujjo to announce they would make a case for the new larger 6.5-inch iPhone screen. When it comes to my personal preferences I opt for three things with every case: Drop Protection, charging port availability, and functionality. Mujjo’s leather case covers all three bases, but first, let’s get to the looks. 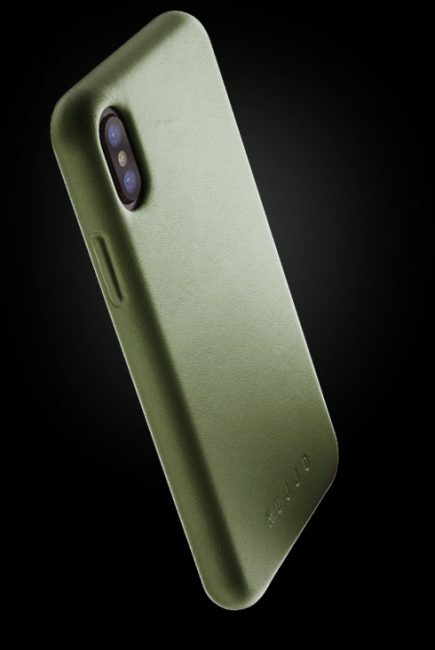 Available in multiple colors like Black, Olive, and Tan… I received the Olive, which looks amazing paired with my Gold iPhone XS Max. You can see hints of the gold at the base of the phone, as well as a little around the edge of the camera cutouts. The case has completely covered buttons for both the volume rocker and power buttons while leaving the mute switch open to the elements. I prefer when cases do this instead of opting for their own case switch which I’ve had mess up my mute switches in the past so kudos to Mujjo for leaving this open. At the back of the case, there’s actually a wallet slot that I’ve been able to fit up to two credit cards comfortably. Be aware though, if you opt for putting cards at the back of your iPhones, you cannot wireless charge your device without demagnetizing your card, trust me, I learned this the hard way recently. I currently switch my cases out depending on the situation, but over the past few weeks, I’ve returned to using the Mujjo case to hold my Metro Card that has yet to be demagnetized, which is a good thing. 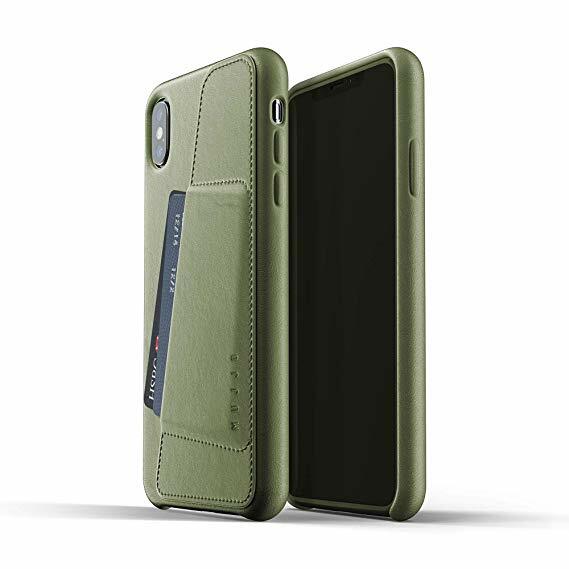 Overall, if you’re in the market for a great leather case that has a bit more of a raised lip than the Apple leather cases, include a wallet (there’s also a model without the wallet for €41.24, look no further than Mujjo. For more information on the Mujjo iPhone Full Leather Cases, head over to Mujjo today.